See Australia was a tri-partite initiative between the Commonwealth Government, Business and the Tourism Industry designed to encourage working Australians – 40% of whom didn’t take a break from work each year – to take a holiday. 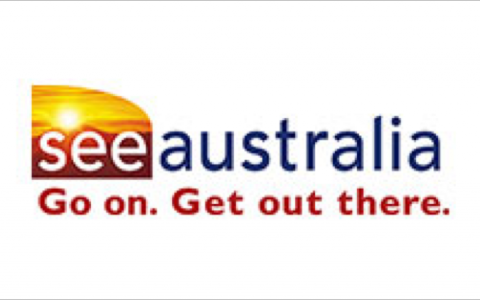 Despite exceptional success in phase one of the initiative, where national brand recognition and understanding of the See Australia brand exceeded 80%, CEO Graham Perry faced significant obstacles to achieving continued funding for phase two of See Australia’s existence. In the words of Mr. Perry, to achieve the desired outcomes – behavioural change, it was essential to continue the generic marketing program and work much earlier in the decision making process and at the point that consumers are making decisions about how to spend their hard earned discretionary dollars. The competitors of domestic tourism are not Bali, Fiji or Europe but are home entertainment, mortgages, a new car or even savings. We had to “maintain cut-through in what is typically a very cluttered and challenging environment”. Our early interventions focused on developing and then clearly articulating the vision and potential for See Australia to key stakeholders in the business community and the most senior levels of government including the Offices of the Prime Minister and Deputy Prime Minister. We then supported Mr. Perry to influence the Commonwealth Government’s strategy for domestic tourism for the next 10 years. “Without a doubt, TAP’s insights and innovative approach to communication and change has helped See Australia to secure additional funding from the Commonwealth Government approaching $60m. TAP has helped us to articulate our strategies and objectives in what is renowned to be a very ‘cluttered’ and challenging environment. Our unique approach combined with the use of innovative communication tools has achieved cut through, differentiated us from the pack and secured support at the most senior levels of government.